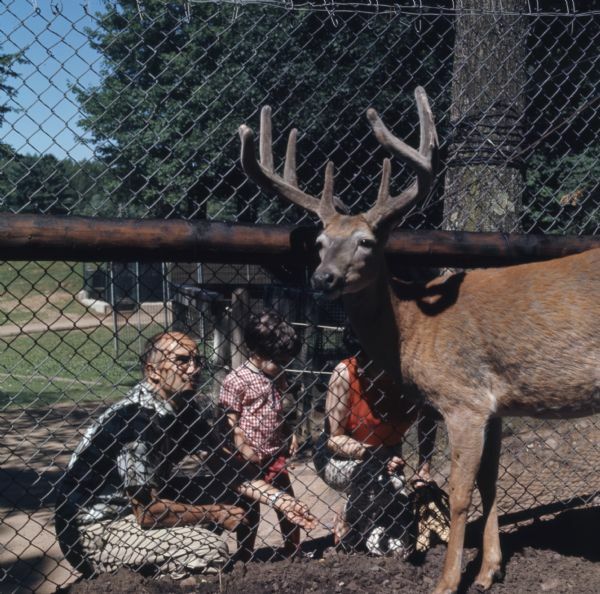 View from inside fenced enclosure of a buck standing near a fence. On the other side of the fence a man and woman are kneeling on the ground next to a young girl. The man is holding out food for the buck.